Attempt missed. Thorgan Hazard (Borussia Mönchengladbach) left footed shot from the centre of the box is close, but misses to the left. Assisted by Alassane Pléa with a headed pass. Attempt missed. 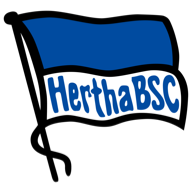 Lukas Klünter (Hertha Berlin) left footed shot from the right side of the box misses to the left. Attempt missed. Patrick Herrmann (Borussia Mönchengladbach) right footed shot from outside the box is close, but misses the top right corner following a corner. Attempt missed. Lars Stindl (Borussia Mönchengladbach) right footed shot from the centre of the box is close, but misses to the right. Attempt blocked. 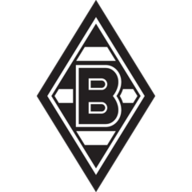 Alassane Pléa (Borussia Mönchengladbach) left footed shot from outside the box is blocked. Assisted by Thorgan Hazard. Attempt missed. Alassane Pléa (Borussia Mönchengladbach) left footed shot from a difficult angle on the left is close, but misses to the left. Assisted by Lars Stindl.